FOG stands for Fats, Oils and Grease, all of which can severly damage your sanitary sewer system. FOG includes animal and vegetable fats, as well as oils used to cook and prepare food. Food Service Establishments (FSEs) use large volumes of FOG. 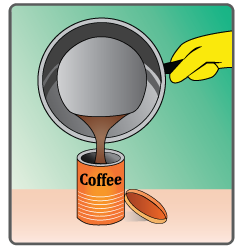 Pour grease and cooking oil into a lidded coffee can or other disposable container. 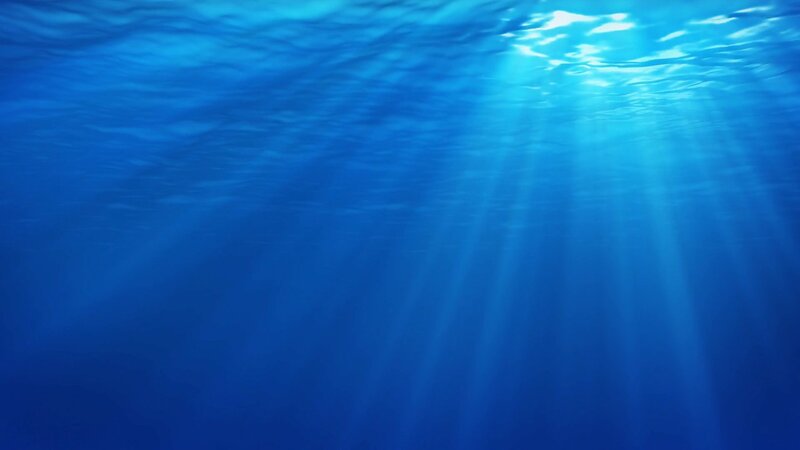 The FOG Program consists of periodic inspections of FSEs to determine compliance with the Prince William County Sewer Ordinance and to gather records of routine maintenance of grease interceptors and grease traps. When poured down the drain, FOG can cause problems in sanitary sewer pipes and sewer laterals. Grease buildup in pipes can cause major damage to pipes and lead to sewage back-ups in your business. 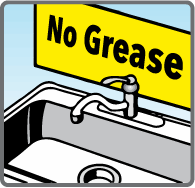 Grease is one of the leading causes of sewer clogs and overflows. What Can I Do to Help Prevent FOG Damage? Wash all floor mats and grills in a mop sink so the wastewater goes to a grease control device. Never clean this kind of equipment in an area where wastewater can flow to a gutter, storm drain or street. Use garbage disposals as little as possible; they fill up grease traps too quickly! Educate and train kitchen staff about FOG control. Wipe grease out of pots, pans and plates with paper towel prior to washing. This helps prevent grease build-up in your sewer lateral and Service Authority sewer lines. Use strainers in sink drains to catch food scraps and other solids; empty strainer contents into trash. Store grease in leak-proof containers with tightfitting lids. Once full, discard in trash with the lid secured. DO NOT pour down sinks or drains. DO NOT pour into storm grates or on the ground. This will clog the drains and pollute streams. Use only containers in good condition. Secure containers to prevent accidental spills, vandalism or unauthorized use. Conduct regular inspections of the storage area, and regularly maintain the container and storage area. Store containers away from storm drains. Toss greasy or fatty food scraps in the trash rather than the garbage disposal. Install proper grease control equipment. Maintain (routinely clean or pump out) grease interceptors and grease traps. Keep records on-site of grease control equipment pumping/cleaning and maintenance and provide them to PWCSA inspectors. Train staff to implement best management practices for FOG. Keep hoods clean. Wash hood filters in sinks that flow to grease control devices attached to the sanitary sewer systems. The grease and solids layers inside interceptors must not exceed 25% of the total volume. Service Authority inspectors will check FSEs' interceptors for compliance. Do not use detergents or degreasers. Block or seal off nearby storm drains. Contact a clean-up contractor and the appropriate agency if the spill is unmanageable. Never wash leaks, spills or materials used for cleaning up spills onto nearby streets or into drains. 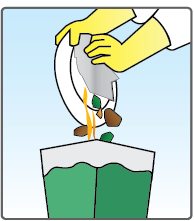 Dispose of all materials used to clean up spills in a garbage can or dumpster. The FOG Program is not just good for sewers. It's the law. Prince William County Code (§23-53(a)(16)) prohibits sewer users from discharging floatable fats, waxes, grease or oils into the sanitary sewer. Failure to comply with the sewer ordinance may result in suspension of sewer service if it causes harmful conditions; and civil fines ranging from $1,000 up to $32,500 per day per violation. An FSE is a Food Service Establishment. It is any facility where food is prepared and/or served to individuals. Get all employees on-board with thorough FOG training, readily available job aids such as signs, and giving positive feedback for a job well-done.